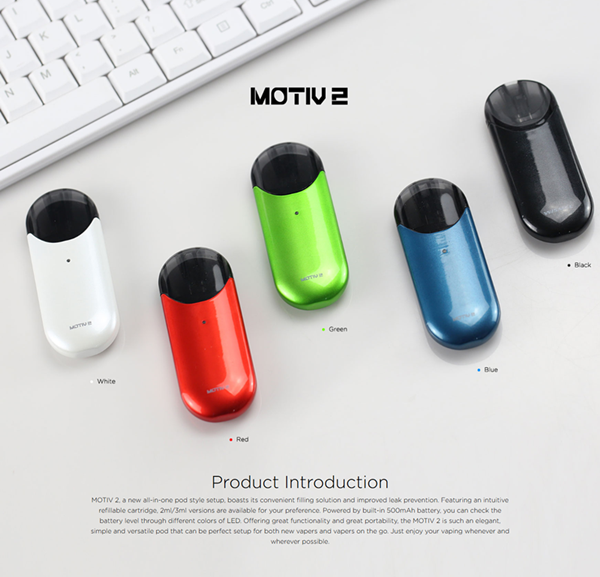 Wismec Motiv 2 Starter Kit is an all-in-one vape kit from Wismec Official. With the built-in 500mAh battery, it can provide enough power for the vaper users. Also, it outputs Max wattage of 10W. Paired with the 3ml or 2ml Motiv 2 cartridge, it has a smooth and shinning round body, like an exquisite USB flash disk. Through adopting the magnetic mechanism, it is easy to replace the cartridge. Featuring the draw-activated firing mechanism it is convenient to start vaping. 5 colors available.